With spring in full bloom, our second fertilizer application step eliminates invasive weeds and promotes lush, healthy grass growth. In May and June, the H&H Lawn and Landscape team conducts the second step in our annual 6-step program. The May/June application consists of a second slow-release granular pre-emergent fertilizer that fortifies grass growth to promote a healthy, green lawn for months to come. 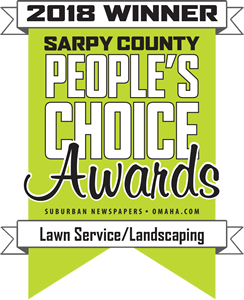 Moreover, this lawn fertilizer service also reinforces a strong barrier against the most common weeds in the Omaha area, including crabgrass and foxtail. At this point, our team of lawn and landscaping professionals will also identify any broadleaf weed growths and apply spot-sprays where necessary. Rather than blanketing your lawn with unnecessary pesticides, we utilize targeted, minimal applications that only affect the immediate areas where weeds are present. This follow-up application is a critical step to ensure that your lawn has the necessary nourishment to maintain healthy growth and to eliminate unwanted weed growth. If not stopped early, crabgrass growths can quickly spread and crowd out other plant life, and foxtail grass is a common weed that can be dangerous and even deadly if consumed by pets or other animals.